At spinTouch we heard rumors that 4K was dead. We knew that unless you were talking about streaming 4k content without the proper bandwidth, this simply wasn’t true. On the contrary we believe that 4k is a nascent technology that could serve tremendous value if one were to focus on a proper method of content delivery. Fortunately for us we came across a very forward thinking client that asked us to push the boundaries of interactive technology and to help them build out a one of a kind experience at their innovation center. We knew this would be a perfect time to introduce 4k content into the mix of our interactive experience building. Our task was to create an immersive experience for guests where they would virtually tour a manufacturing facility that was well over a thousand miles away from their innovation center. This interactive experience would need to convey that the highest level of manufacturing standards were being met at our client’s plant. Our digital engagements team thought outside of the box and conceived a powerful way of combining voice recognition, body tracking by Kinect®, and 4K video content to create this experience. This was the creation of truWindow™, the first ever virtual window experience that leveraged 4k video content on two portrait mounted 1920×1080 LCD’s. As a user approaches the two wall mounted LCD panels they are tracked by a Kinect® camera and through truWindow™ facial and body recognition algorithms, 4k video content then adapts in respect to the users viewing angle. Since the 4K video content exceeds the parameters of a traditional HD display without any scaling, a user is able look through this “virtual window” and see the manufacturing facility at all different angles. 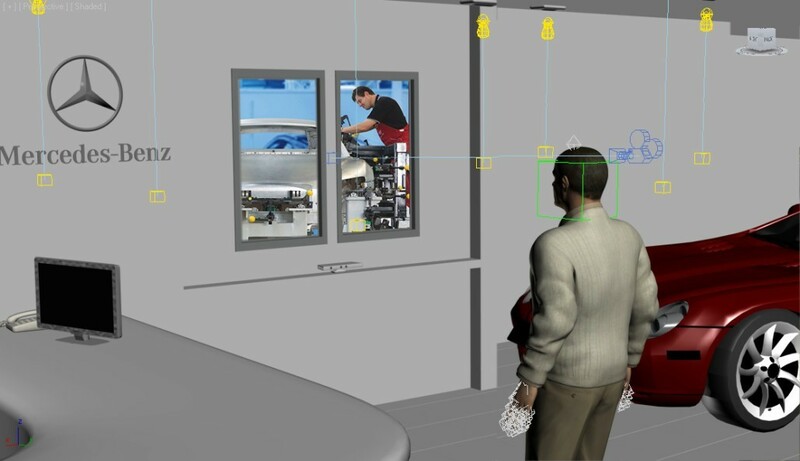 By integrating voice command and simple arm signals, users can navigate across various areas of the manufacturing facility. TruWindow – Real-Time Perspective Window from spinTouch on Vimeo. With manufacturing usually being a behind closed doors operation, truWindow™ made it possible for our client to leverage their capabilities and win new business by showcasing this experience with their prospects. So for those who are still on the 4K is dead crusade, we urge you to think outside of the box and to innovate new and exciting ways to leverage ultra HD to create unforgettable experiences.